My great grandfather, Edward Love, emigrated from Sweden when he was seventeen years old and settled in Jobs to work in the coal mines. Edward’s birth name was Karl Enock Lof and he grew up in Vartofta, a small farming community in southern Sweden. 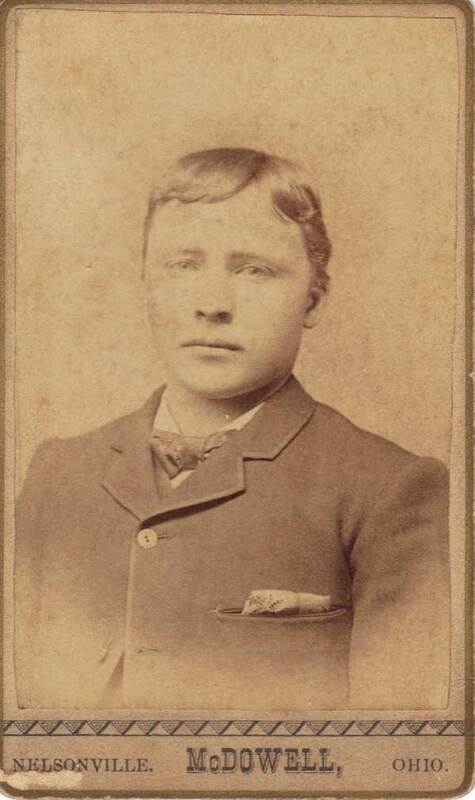 Edward’s brother, Charles, immigrated first in 1885, and Edward and his brother, John, followed in 1887. Their sister, Hulda, joined them in 1892 and brother, Axle, arrived in 1893. All of the brothers worked in the Jobs mines. A mine safety inspection was conducted on Sunday Creek Mine Number 3X on February 13, 1914, and the Love Brothers were ordered to “procure blankets, stretchers as required by law and to procure boxes to hold powder.” During their August 10th inspection, conditions were satisfactory. On September 11, the scales were measured and found to be inaccurate. On November 24, 1914, everything was “satisfactory” once again. My great- grandfather Edward Love immigrated from Sweden, along with his brothers, John and Axel, to be a coal miner in Nelsonville, Ohio. The family lived, first in Jobs, and then moved to Nelsonville. Located in New Pittsburg,O., on the H.V.R.R. Operated by Love Bros., Nelsonville, O. Ed Love, Nelsonville,O. Supt. John Love, Nelsonville,O. mine boss. Mule haulage; employs 2 machine men, 13 loaders and 1 day hand. On the 1930 census , Ed listed his occupation as Coal Operator/ Coal Miner. Ed also mined coal at this residence at 507 Madison Avenue, Nelsonville, Ohio. Edward’s son, Edward r., was injured in the mine in 1921, and died of “ injury causing tuberculosis of lumbar vertebrae and abscesses” and adenocarcinoma” in 1932 after eleven years of treatment and surgeries. He was 36 years old when he died. My family is proud of our Swedish, coal mining roots in the Nelsonville community. A representative of the business interests of New Straitsville, Calvin Essex is there engaged in dealing in furniture and is also conducting an undertaking establishment. He is likewise one of the owners of ‘coal mine No. 37, belonging to the Essex Coal Company, in which enterprise he is associated with his brother, H. H. Essex, who is acting as superintendent of the mine. A man of resourceful business ability, our subject is successfully carrying forward these various undertakings and in their man agement displays excellent business ability. He belongs to that class of representative American citizens who, while promoting individual success, also advance the general good. 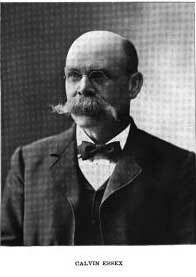 Mr. Essex is a native of Noble county, Ohio, his birth having there occurred in 1848. He is a son of Nathan H. and Elizabeth (Morris) Essex, whose ancestry can be traced back to England, whence representatives of the family came to New Jersey in 1650. The parents of our subject were both natives of Noble county. Ohio, born near the Morgan county line. The paternal grandfather of our subject was Hardesty Essex, who came from New Jersey to the Buckeye state and here established the family. Nathan H. Essex remained at home until the time of the Givil war, when he offered his services to the government and joined the Union army. His son Calvin also attempted to enlist but was rejected because of his youth. Nathan Essex was a well known, active and enterprising citizen of Noble county and enjoyed the high regard of a large circle of friends there. In his family were six sons and four daughters. Of the sons Nelson Summerbell Essex is a resident of New Straitsville; W. S. Essex is a prominent lawyer and citizen of Fort Worth, Texas; Rev. La Fayette Essex is living in Nelsonville, Ohio, and is a minister of the Christian church; H:. H. Essex is connected with our subject in the coal business; Sherman Essex and our subject complete the number. The daughters of the family are Mrs. C. A. Rogers, the wife of Sylvester Rogers, of Columbus; Elizabeth Elmira, the widow of Rev. Thomas. Cook, of Hocking county, Ohio, who was a minister of the Bible Christian church and died June 1, 1902; Zelda, the wife of Isaac, Wolfe, of Tocsin, Indiana; and Harriet,. the wife of Samuel Wolfe, a farmer of Tocsin, Indiana. Calvin Essex spent the days of his boyhood and youth under the parental roof and when twenty-three years of age came to New Straitsville. He at once secured employment in the Troy Coal Mine as a miner and later he hauled coal by contract. He began business on his own account in 1878 as a grocer and baker and continued in that line until 1898, meeting with creditable and gratifying success. In 1879 he added undertaking, and in 1880 furniture was also added to his business. In 1898 he established his present furniture and undertaking business, which he has since carried on. Since that time his patronage has steadily increased, for his fellow citizens and people of the surrounding country realize the fact that his prices are reasonable, his business methods honorable and that his goods are as represented. He therefore has prospered in his commercial pursuits and to-day is one of the leading merchants of the place. In 1885 ne became connected with coal mining interests and in that year he opened up a mine at Monday. Ohio. He was first associated with Robert Stalter, but in 1893 this partnership was dissolved. In 1898 he organized the Essex Coal Company, the partners being his brothers and others. Mine No. 37 was opened and operated from 1893 until 1898. In 1895 Mr. Essex suffered considerable loss by fire in the destruction of his home and store, all being destroyed with the exception of some of his household .goods and a part of his stock. In 1895 he built a fine brick store and residence complete. It is the finest business place in the town. The dimensions of the building are one hundred and seventy-six by twenty-two feet and at the back are three r<xims each twenty-two feet in depth. Above and at the side there are nice rooms for residence purposes, making a pleasant and convenient home as well as a good business block. 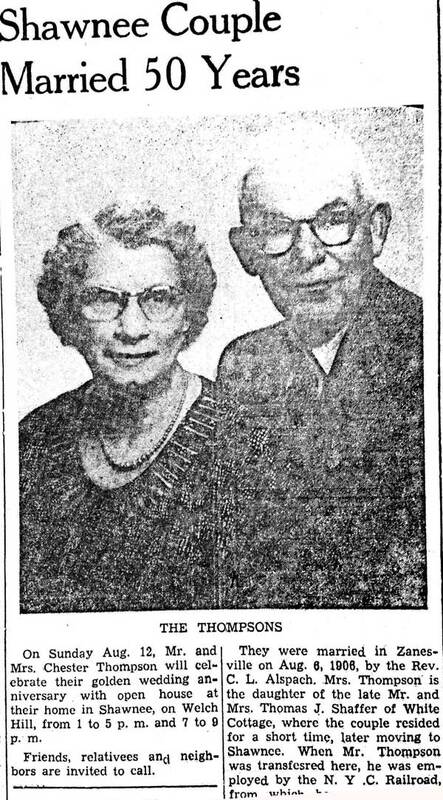 Mr. Essex was married in Hocking county, Ohio, to Miss Evalyn Stalter, a daughter of William and Elizabeth (Rose) Stalter, who were pioneer settlers of Ohio. Unto our subject and his wife have been born the following children: Luella, the wife of Dr. B. E. Winters, of New Straitsville; Charles S., who is living in the same place; Mabel Elizabeth, the wife of R. A. Duvol: Robert and Frederick, who are living in New Straitsville; and one who died in infancy. In his social relations Mr. Essex is a Mason, belonging to lodge, chapter and council. He is identified with the Independent Order of Odd Fellows in both the subordinate branch and encampment, in which he has passed all of the chairs. He likewise belongs to the Junior Order of American Mechanics, and is a valued member of the Methodist Episcopal church, in which he has served as trustee for a number of years. His political support is given the Democracy and for three terms he has served as a member of the city council, filling the office from 1874 until 1878 and again from 1899 until 1901. He has put forth every effort in his power in his official position to promote the welfare of the town, and at all times has been true to public trust. In the conduct of his extensive and important business affairs he displays excellent executive force and keen discrimination and his prosperity is the merited reward of his own energetic and progressive labors. George T. Drake, who is now acceptably and capably serving as postmaster of Corning, has for a number of years been in the public service and has ever been found reliable, prompt and faithful. He is a native of Morgan county, Ohio, his birth having occurred in Pennsville. He is a representative of one of the pioneer families of the state. His paternal grandfather, James Watts Drake, was a native of Virginia and in the year 1812 emigrated westward, taking up his residence in Belmont county, Ohio, whence he removed to Morgan county in 1832. His remaining days were spent in this state, and in 1895, at the advanced age of eighty-nine years, hp was called to his final rest. Francis W. Drake, the father of our subject, was born January 20, 1833. upon the old family homestead in Morgan county and was a resident of his native county until 1881, when he came to Corning, where he still resides. He was a contractor and builder, but abandoned that pursuit to enter upon the duties of postmaster, to which position he was appointed by President Harrison. He is now engaged in the grocery business and is one of the enterprising and successful merchants of this place. He has led an active and useful life, and has not only successfully conducted his business affairs but has been a prominent factor in public life in his locality. For many years he has served on the city council and put forth strong effort to advance the welfare and substantial upbuilding of his town. He married Adeline Holt, a daughter of Joab and Elizabeth Holt, who removed from Harper’s Ferry, Virginia, to Morgan county, Ohio,, in 1850. Mrs. Drake died May 9, 1884. She was a native of Harpers Ferry. George T. Drake began his education in the public schools and is a graduate, of the high school of Corning of the class of 1890. In April of that year, one month prior to his graduation, he took the civil service examination for railway mail clerk and of the many who took the examination at the same time he stood highest. During the following August he entered upon his duties as substitute clerk on the route from Corning to Columbus. He also substituted on various other runs and was in the Columbus post office for a time until he was permanently appointed on the limited mail run between Pittsburg, Pennsylvania, and St. Louis, Missouri. In April. 1893, he resigned from the service and until 1897 was engaged in teaching school in the Corning special district. While teaching he took a prominent part in educational matters, being at that time a member of the county executive committee, and has ever since been interested in educational affairs. Since 1894 Mr. Drake has been.a prominent factor in his county’s politics and from 1896 has been on the stump in various campaigns. As a debater and speech maker he has an enviable record. From 1895 until 1897 he served as clerk of Monroe township. In the latter year he was appointed postmaster of Corning by President McKinley and was re-appointed by President Roosevelt, so that he is now serving his second term and the affairs of the office are ably conducted under his capable management. In the fall of 1897 he established a newspaper, the Breeze, in partnership with LaBert Davie, but sold his interest to Mr. Davie in 1901. He has long been a prominent Republican of Perry county, doing all in his power to secure political successes along that line. He has served on the county executive committee and is now serving as a member of the congressional committee of the eleventh Ohio district. The name of Mr. Faine is closely interwoven with the business history of New Straitsville, where he is acting as general manager for the W. R. Calkins Hardware & Lumber Company, having made his home here since 1883, covering a period of almost twenty years. Mr. Faine is a native of Lawrence county, Ohio, and a son of J. C. and Sarah A. (Rawlins) Faine, who also removed to New Straitsville in 1883. The father was born in Virginia, now West Virginia, and belonged to one of the pioneer families of that portion of the country. On the Rawlins side the family can be traced back to an ancestry of colonial days. One of the representatives of the family served on the staff of General Washington in the War of the Revolution. grammar school department for four years. In 1896, however, he turned his attention to business interests and entered the hardware and lumber business of W. R. Calkins, at Hemlock, also the owner of the stores at Corning and Crooksville. Eventually the Corning store was sold and the stock at Crooksville was taken to New Straitsville and the Hemlock store was closed. Mr. Calkins, as a member of the firm of W. R. Calkins & Company, is engaged in merchandising in Columbus. Ohio, and at New Lexington, under the firm name of W. R. Calkins & Son. He has a patent on a gas stove which is manufactured at Columbus and is also engaged in the manufacture of sheet iron ware at New Lexington. Mr. Faine is in charge of the business at New Straitsville and is carefully controlling the same, his enterprise and good management resulting in bringing to him creditable success. In 1896 Mr. Faine was united in marriage to Miss Minnie Calkins, the eldest daughter of W. R. Calkins, who formerly resided at New Straitsville but is now living at New Lexington. At one time he served as treasurer of the county and is widely known as a prominent and enterprising man. His business interests are extensive and prove of benefit to the community by the promotion of commercial activity. Unto Mr. and Mrs. Faine have been born three children: Cecil, Uarda and Cyril. In his fraternal relations Mr. Faine is a Mason, belonging to New Straitsville Lodge. No. 484, F. & A. M., and New Lexington Chapter, No. 149, R. A. M. He has recently established the New Straitsville Record which he is editing and into which he entered for the sole purpose of developing the great natural resources of the town. In this enterprise he is associated with Hiram Campbell, a practical businessman. Mr. Faine is also the agent for the Corning Natural Gas Company at New Straitsville and superintends its affairs there. In politics he is a Republican and for the past seven years has taken an active part in Perry county politics. In business he has achieved success through honorable effort, untiring industry and capable management and in private life he has gained many warm personal friends. Was born at Bellefontaine, O., in 1857. In 1863 he moved to Lexington, 11l., where his father engaged in mercantile business. In 1878 he was taken into partnership with his father in the business. In 1882 he engaged in the brick and drain tile business, and from that time on has been actively engaged in clay working industries. In 1888 he was elected secretary of the Illinois Brick & Tile Association, which office he now holds. 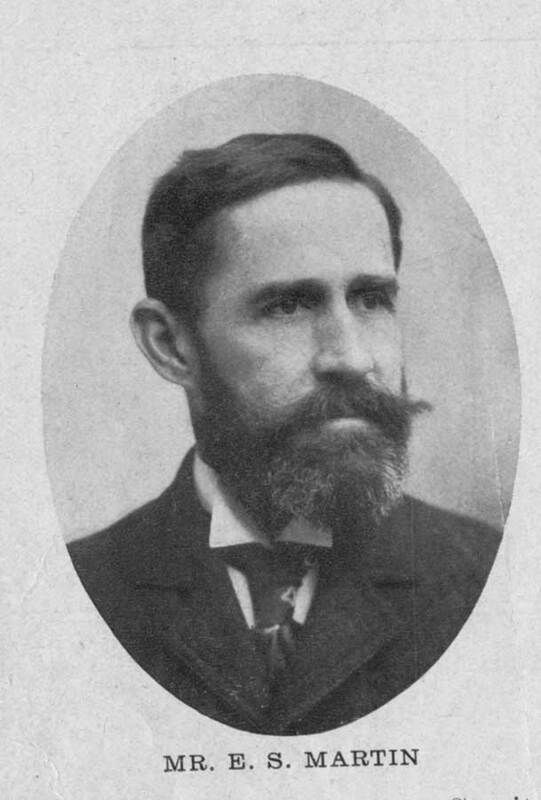 During the World’s Fair in 1893 he was secretary of the executive committee of the Illinois Brick & Tile Association, and had charge of the state exhibit. In 1890 he began traveling for a Michigan Clay Machinery Company, and in 1892 took charge of the Grant Park Brick & Tile Company Works at Grant Park, 11l. In the spring of 1895 he became associated with the Frey-Sheckler Company in various capacities, as engineer, making clay-working tools and appliances and general construction work. In June 1883 he associated himself with Haydenville Mining & Mfg. Co., as superintendent of their plant at Haydenville, O., and continued with them as superintendent of manufacture until 1890. In that year he constructed a plant for the Logan Fire Clay Co., of Logan, O., and remained with that company as general manager until 1895, when he entered the service of the Frey-Sheckler Co., in the capacity of traveling sales agent, continuing with the American Clay-Working Machinery Company to the present time. CHARLES Edington was born at New Lexington, Perry County, Ohio, April 4th, 1864. At the age of thirteen he left school and went to work in the packing house of J. D. Webster where he remained two years, after which he was in the employ of O. Bear of Shawnee in the hotel and livery business for four years. He then went to Nelsonville and took charge of his livery business for Ed. Doris, but soon became weighman in a coal mine, and was so occupied for two years. He then embarked in the livery business for himself and conducted it for two years, when he became inside foreman for the Nelsonville Brick Company. At the end of a year he was made manager of the plant and filled that position for eight years, resigning to accept the appointment of Chief of Police, which was tendered to him by Mayor Wells in 1909. This position Mr. Edington now holds. Chief Edington has been delegate to many Democratic county and state conventions. Before becoming Chief of Police he was a candidate for marshal on the Democratic ticket but lost out through a misunderstanding. 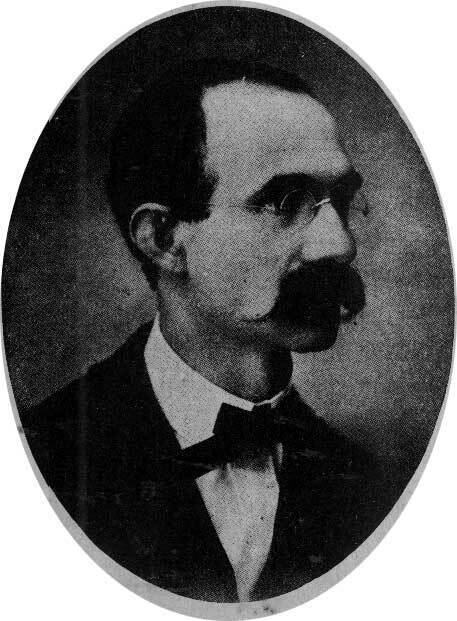 He helped to erect the stand from which Allen G. Thurman spoke at the memorable political meeting held in Nelsonville in 1888. 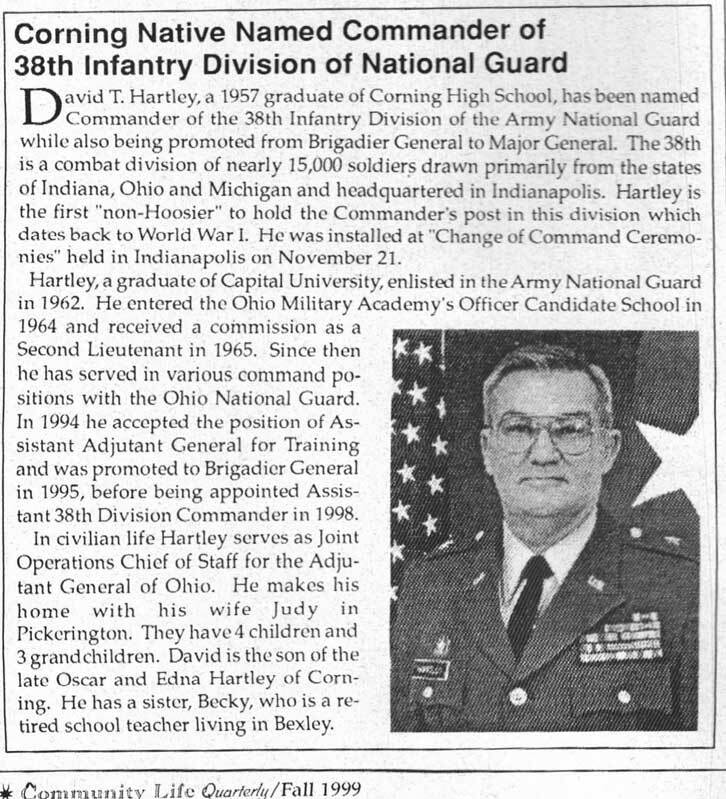 Mr. Edington was a member of the Ohio National Guard for five years. On October 19th, 1886, Charles Edington married Ella Newton of Nelsonville, Ohio. They have two children living and also two grandchildren. Clyde M. FORAKER was born in Deavertown, Morgan County, Ohio, January 3rd, 1881. After his school days he took up teaching and taught school at Moxahala for six years, during which time he studied engineering. He was then engaged as a mining engineer for four years. Mr. Foraker has a liking for politics and has been active in the political affairs of Perry County since he became of age. He has been delegate to county conventions on several occasions and was elected County Auditor at the November election, 1910, by a majority of 977, which position he is now occupying. Mr. Foraker has the honor of being the first Democratic Auditor of Perry County in seventeen years and also of being the youngest man ever elected Auditor in his county. His election was all the more flattering because Perry County is normally 65 per cent Republican. Mr. Foraker’s father was William J. Foraker, a farmer of Morgan County and a life long Democrat. His mother was Martha Foraker, also of Morgan County. The Foraker family is one of the old American families. Mr. Foraker’s double great-grandfather was kidnaped in Ireland and brought to this country by the English in 1725. His great-grandfather was born in Maryland and came to Ohio about 1818, settling in Morgan County. His grandfather was born in May, 1809. In 1903 Mr. Foraker married Miss Eva F. Shepperd at Moxahala. They have one son, William S. Foraker. Fraternally Mr. Foraker is a Mason, being a member of Corning Lodge No. 584 F. & A. M.
SAMUEL Eichenbaum was born in Zeboro, Hungary, near Budapest, and attended the grammar school in his native country until 1869. He then came to the United States and in 1870 went to Cincinnati and became a clerk in a retail grocery. In 1873 he moved to Shawnee, Perry County, and became a clerk in a dry goods store. In 1881 he settled in Corning where he clerked for two years and then went into the dry goods business for himself. Mr. Eichenbaum’s father, Isaac Eichenbaum, was a merchant in Germany. His mother was Eva Steele Eichenbaum, who is still living. In 1883 Samuel Eichenbaum married Fanny Rosenberg of New York City. They have two children, Sol and Bertha. Sol Fischer Eichenbaum is a graduate of Corning high school and is now employed in his father’s store. Miss Eichenbaum attended Denison University one year and is now a student at Western Reserve at Cleveland, Ohio. Samuel Eichenbaum is a Thirty-Second Degree Mason and has passed through all the chairs. He is a member of the Blue Lodge of Corning. GEORGE L. Rodgers was born at Millerstown, Perry County, Ohio, September 8, 1877, and after passing through the common schools entered the Corning High School from which he was graduated in the class of 1893. He began his business career as a clerk in the store of Samuel Eichenbaum where he remained for eight years and then established himself in business at Corning. In 1902 he was nominated for Clerk of Courts but declined the office. In 1904 he was secretary of the County Executive Committee and in 1908 was elected County Treasurer on the Democratic ticket, which position he still holds. 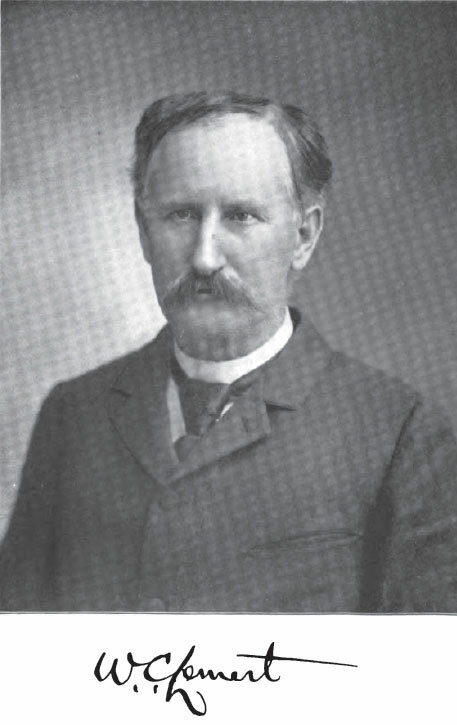 He was at both conventions that nominated Judson Harmon for Governor in 1908 and in 1910, and he was assistant Sergeant-at-Arms of the convention that nominated Pattison for Governor in 1905. 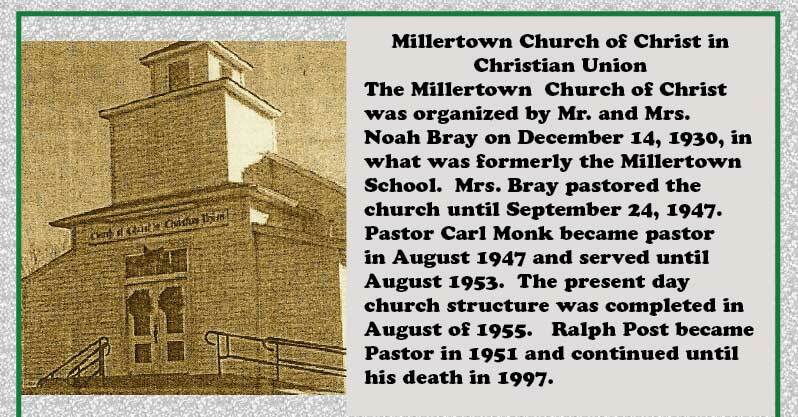 He was the organizer of the McLean Club of Corning. Mr. Rodger’s father was Joseph T. Rodgers who died in April, 1910. He was a prominent real estate and stock and grain dealer. and was Republican councilman in Corning for many years. His grandfather, Joseph Rodgers, who laid out Corning in 1878, was born in Wheeling, Virginia, in 1831. He was one of the original settlers of Corning. George L. Rodger’s great-uncle, Nelson Rodgers, was born May 6, 1826, and was Infirmary Director for many years. From this record it will be seen that the Rodgers family is one of the oldest in that part of the state. George L. Rodgers is a prominent society man. He is a member of the Masonic Fraternity and Past Master of the Blue Lodge, Past Commander of the Knights Templars and is also a member of the Shrine. He is a Royal Knight of the Maccabees and was Past Commander in that order when nineteen years of age. He is also a member of the B. P. O. E. Lodge No. 509. 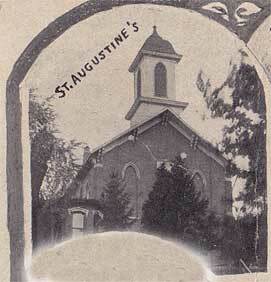 In 1909 he married Miss Marguerite Travis of Corning, Ohio. Judge Maurice H. Donahue, lawyer and jurist, was born on a farm in Monroe Township, Perry County, May 10, 1864. For ten years he has rendered distinguished service upon the bench of the Fifth Judicial Circuit of Ohio, the district comprising fifteen counties. Judge Donahue’s early life did not differ essentially from that of many another ambitious young man farm bred who almost always gets his start teaching school. In fact, Judge Donahue began teaching when he was but sixteen years old. He taught until he was twenty-one, but with his heart set upon a legal career he improved his time studying law and coincident with his retiring from the superintendency of the schools at Corning he was admitted to the bar in 1885. One year afterward he was elected Prosecuting Attorney of Perry County and so satisfactory was his service he was reelected in 1889. He was elected as one of the three Judges of the Fifth Judicial Circuit in the year 1900, having been engaged in the successful practice of law from the time of his services as Prosecutor up to the year above named. Judge Donahue was reelected in 1906. He has been honored by his confreres as presiding judge of the Circuit. It is scarcely necessary to say that Judge Donahue is one of Nature’s Democrats, but not a narrow partisan. He is one of the men whose broad philanthropy and kindliness of heart appeals to all. He has had as Circuit Judge some most difficult and delicate questions to pass on, among the most delicate being those relative to the dismissal from the bar of Mansfield and Ashland prominent attorneys, or their suspension from practice for a period of years. His regard for professional ethics is acute. An injustice against anyone inflames this just and gentle man with righteous indignation, yet that indignation is tempered with mercy. For the rogue who would take advantage of the law to rob the widow and the orphan; for the cormorant who would violate a trust to enrich himself rather than to protect the interests of his clientele, Judge Donahue has little other regard than pity, yet the scales of justice hang even in his hand. In 1910 Judge Donahue was elected to the Supreme Bench of the State of Ohio. Judge Donahue was elected a delegate to the Democratic National Convention from the Eleventh Congressional District in 1900. He regarded this as a signal honor, but as a rule he believes in the independence of the judiciary, its freedom from small political alliances and contests, always holding that clients of whatever political faith should appear before an unpredjudiced court. Judge Donahue was married to Miss Martina Johnson, daughter of John J. Johnson, one of the leading citizens of Perry County. His home life is ideal. His duties on the bench, discharged with a facility that is a wonder of his compeers, he is permitted, despite his arduous work on the bench, to enjoy much rest and recreation with those nearest and dearest to him. It may truly be said of Judge Donahue that he meets none who is worthy that does not remain his friend throughout the years. The loyalty and the esteem of his friends, of whatsoever class, is a heritage of which his family is increasingly proud. He was elected Supreme Court Judge in 1910. WILSON C. LEMERT needs no introduction to the citizens of Ohio, for he is known throughout the length and breadth of the state. He is a man of seemingly limitless capacity and ability for business and has probably been connected with more enterprises that have promoted the material welfare of the state than any other one man. Varied as are the interests with which he is connected, he gives to all a personal oversight, and under his wise direction they are carried forward to successful completion. Prosperity depends upon commercial activity, and of far more practical benefit to a town is an industry which furnishes employment to many men than a gift of money whose investment brings no work to those who must depend upon their labor for their livelihood. In the establishment of the multiplicity of enterprises with which he is connected, Mr. Lemert, therefore, has not only acquired wealth but has been a public benefactor in keeping the wheels of trade in motion, thus supplying the means of support to hundreds of families. Ohio numbers him among her native sons, his birth having occurred on a farm in Texas township, Crawford county. He began his education in the common schools, later pursued his studies in Republic Academy, in Seneca county, Ohio, and Heidelberg College, of Tiffin, Ohio, and was graduated in the Ohio Wesleyan University, of Delaware, in 1858. He then entered the Cleveland Law College, and was graduated in that institution in 1859. The following year he opened a law office in Greensburg, Indiana, but when the Civil war engulfed the country in its horrors he laid aside the pursuits of private life to enter the service of his country. It was in 1861 that Mr. Lemert joined the Seventh Indiana Infantry and before leaving the state he was chosen second lieutenant. During the first year of his field service, for meritorious conduct at the battle of Winchester, he was promoted to the rank of first lieutenant, and later was made captain. In 1862 Governor Tod, without his solicitation, tendered him a major’s commission in the Eighty-sixth Ohio Volunteer Infantry, which he accepted. In 1863 he reorganized that regiment and was appointed its colonel. It was assigned to General Burnside’s Ninth Army Corps, and was an active force in the historical east Tennessee campaign. When the Union troops gained possession of east Tennessee, Colonel Lemert was assigned to the command of the Third Brigade, Second Division, Ninth Army Corps, consisting of over seven thousand soldiers,—infantry, cavalry and artillery,— which constituted the federal force in the department of the Clinch, with headquarters at Cumberland Gap, the natural strategic gateway of east Tennessee. Colonel Lemert continued in command of the brigade and part of the time of the division until the expiration of his service in 1865. WEBSTER WESLEY POSTON was born at Nelsonville. Ohio. June 29. 1844. and was educated in the schools of his native village. with the exception of one year at the Ohio University. In 1860 he began working for his father in the general store but subsequently took up agriculture and mining and his time is now principally occupied with his coal and farm lands. the latter receiving most of hi sattention. Mr. Poston has taken a deep interest in the success of the Democratic Party in his life. a fact which was recognized on June 23rd.1911. when Governor Harmon appointed him a member of the Board of Review. In 1888 he was a member of the committee which had charge of the meeting at Nelsonville when Allen G. Thurman made what Mr. Poston describes as the greatest speech that Nelsonville ever heard delivered to the largest crowd that Nelsonville ever saw. He cast his first vote in 1865 and his first presidential vote in 1868. He was a guest and speaker at the Tilden Banquet on General Jackson Day. January 8. 1876. Columbus. Ohio. He was at the National Convention held in Cincinnati. Ohio. 1880. when Gen. Hancock was nominated for President. He also attended the National Convention held in Chicago when Grover Cleveland was nominated for President in 1892. Mr. Poston’s parents were Wesley Webster Poston. who was born in Romney. Virginia. in 1810. and died in Nelsonville. 1875. and Mary E. (Dew) Poston of Nelsonville who died in 1892. Mr. Poston has been twice married. His first wife was Hattie O. Cooley. who died in 1870. leaving one son. Wesley Poston. In 1873 he married Belle Garland Cresap of Logan. Ohio. Two sons and one daughter were born of this marriage. Webster Cresap. Charles Eugene and Mabel LeFevre. Frank W. Poston resides in Nelsonville. At the age of sixteen he was graduated from the Nelsonville High School. 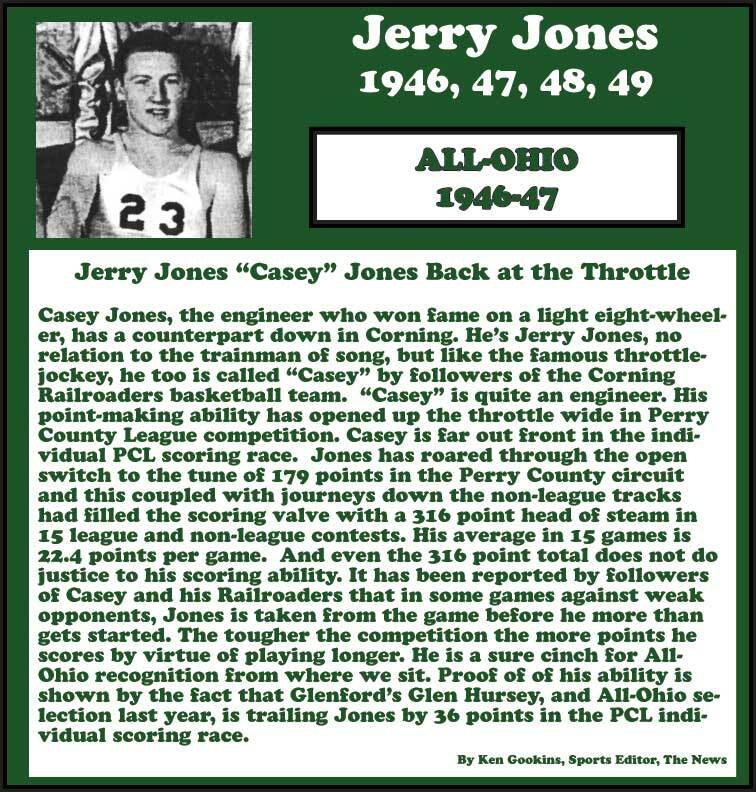 He attended the Ohio University and Marietta College. commencing his business career by taking charge of his father’s flouring mill. He is now the local agent for the Ohio Fuel Supply Company. Webster C. Poston after graduating from the Nelsonville High School was appointed agent for the Ohio Fuel Supply Company and is now Auditor of the Federal Gas and Fuel Company. Charles E. Poston graduated form the Nelsonville High School after which he took up the study of music at Oberlin College. but also studied vocal music under Sidney Loyd Wrightson of Chicago for five years and perfected himself on the pipe organ under the instruction of James Watson. He is Director of the Conservatory of Music at Greenville Female College. South Carolina. It is one of the oldest schools in the South. Prof. Poston is also organist at the First Baptist Church at Greenville. South Carolina. Prof. Poston possesses a highly cultivated baritone voice and directed a campaign quartette which sang during the barnstorming trip through Hocking County with Allen O. Myers. who was campaigning for Horace Chapman. the Democratic candidate for Governor in 1897.
written by Kathleen Daugherty in completing Miners of the Little Cities Registry. The original spelling of our family names is O’Doherty, but it has had several variant spellings. especially if they themselves were not writing their name, such as Doherty, Doughertt, O’Daugherty and spelling we now accepts is Daughtery. Patrick O’Doherty and Maria Lynch were married in 1846 at Longtower, St. Columbia’s Catholic Church in Templemore County Londonberry, Ireland and in 1946 their eldest son, Edward was born there. The family went to Scotland to be able to find work during the Potato Famine and their son, Bernard “Barney” was born there in 1847. Patrick and his family immigrated to this country between 1847 and when their next son, James was born in Pennsylvania in 1849. No immigration records have been found to substantiate this. We are relying on other documents and family stories to arrive at this conclusion. From Pennsylvania, the family went to Ironton, Lawrence County, Ohio following work in the coal mines. They worked their way up the state until they settle in New Straitsville sometime in the 1870’s. Patrick was mayor of New Straitsville from 1877-1879. Patrick and his sons Edward, John and James were all coal miners, records show them working for the New Straitsville Cooperative Mining Company. John and Edward married Callahan sisters and Bernard and James married Quinn sisters. John Quin their father was also a miner. John, Edward and James purchased the front steps of St. Augustine and planted the pine trees that were on both sides of the entrance. Patrick and Maria are buried at Mt. Calvary cemetery in New Straitsville. There is no marker. He was born in Lancaster, Ohio, 1855, he son of Mr. John D. Martin and Mary Jane Martin, nee Herman. His father was one of the original founders and promoters of New Straitsville; and a member of the company which began the development of the great coal fields of Straitsville. Previous to the Senior Martin’s death in 1898, he was for many years as a valued and respected citizen of Lancaster. Mr. E. S. Martin attended the public and High School of his native city, and at the early age ‘of 16 years began’ life for himself by removing to New Straitsville and working in the first company store established here. He learned telegraphy and was employed as telegraph operator by the Hocking Valley’ R. R. at the South Depot in Columbus for a period of eight months, being soon appointed as Railroad Agent and Telegraph Operator’ at Gore, and also having charge of the Company Mine and Store at Gore for one year. He again emoved”’ to New Straitsville, and during the winter of 1872-1873 weighed coal at the newly opened Central Mine. In the Spring of 1873 Mr. Martin was appointed Superintendent of the Plummer Hill Mine, then being’ opened. and continued in charge while this mine was being made ready for operation and the equipment placed ready for shipping coal, remaining as the Superintendent until 1876. .
Mr. Martin then became a resident of Cleveland, and was actively engaged as a member of the firm of Martin and Co., doing an extensive coal shipping business on the Lakes for eight years, with one exception, being located at Para, Brazil in 1878, engaged in the Marble business. In 1883 he’ assisted in the organization of the C. & H. C. & I. Co., still doing business in New Straitsville, and served for one year as a member of the First Board of Directors of the Company. He returned to his adopted town in 1884, and has remained as a citizen since that time. During the ‘great strike of 1884, he organized the Straitsville Cooperative Coal Co., and opened the mine now known as Mine No. 5. 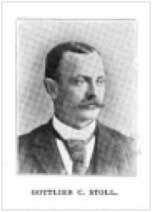 In 1887 he formed in connection with Mr. J. M. Roan the firm of Martin and Roan, .as successors to the Co-operative Concern; and operated this mine until 1899, when it was leased to the Buckeye Coal and Railway Co. ‘ Then followed his retirement from active coal operations other than retaining the ownership of extensive coal lands, which are now under lease to various mining companies. Mr. Martin is also an extensive real estate owner in New Straitsville, and has been actively identified with many necessary improvements which have taken place during his residence in .New Straitsville. Always having been in favor of good highways, in 1895 he commenced a Good Roads agitation in Perry County, which was ineffectual as far as the County Measure was concerned. Confining his activities to his home town, the streets and highways of New Straitsville were macadamized in a thorough and permanent manner during his term of Trustee of Coal Township, his election to this office occurring in 1902. Previous to this period he had served on the School Board from 1893 to 1896, and as a :Member of the Town Council from 1895 to 1897. It was during this period of his service on the Town Council that the street improvements before mentioned were begun. Mr. Martin, in 190:3, began an organized attempt to secure the location in New Straitsville of the New Press Brick Plant. A very successful undertaking, as the plant now ranks as one of New Straitsville’s leading industrial concerns. During this same year he also succeeded in organizing the Martin Bank Company, which is now a very prosperous concern. In 1904 he organized the Straitsville Social and Athletic Club, a sketch of which appears in this book. Martin has been twice married, his first marriage occurring in 1878 to Miss Agnes C. Alford, of Cleveland, who died in 1884, one son , Mr. John D. Martin, present Superintendent of the Straitsville Impervious Brick Co. blessing the union, the second marriage being in 1892 with Miss Maria Ewing, a daughter of Gen. Thomas Ewing. In all matters of improvement in which he has had a part, he has been actuated by unselfish motives, spending both time and money liberally where it is possible to attain the end desired. To his endeavors and liberality it can truthfully be said that New Straitsville owes much of her improved appearance and prosperous conditions. Every town needs a citizen who can take the lead in ventures intending to promote the general welfare of the inhabitants and to secure the blessings of prosperity to them, and such are so fortunate to have leaders like our esteemed citizen are singularly blessed. Ralph Drake, born in 1936, attended Hemlock-Central and Corning High School (1953). Educated /trained in chemistry at Case Institute of Technology, he holds graduate and post graduate degrees. He was a member of the B.F. Goodrich Company’s Technical Staff, a specialist in Polymer Chemistry/Polymer Science retiring in 1995. He is presently a Private Consultant with seven American and European clients, visiting Staff at MIT (Dept. of Materials Science) and a consultant in Materials at The Cleveland Clinic Foundation – Lerner Research Center. He holds over 100 technical publications and patents. He is a member of the American Chemical Society. He is a scholarship founder with The Southern Perry County Academic Endowment Fund. Further interests include support groups at the Cleveland Museum of Art and The Cleveland Institute of Music. He is a major and known collector of American Art Pottery. Andrew J. Burgess, section 36, Falls-Gore, is the son of Richard Burgess, deceased. He was born in Perry County, Ohio, Aug. 14, 1825, and the following year he was brought by his parents to Falls-Gore, where he has since resided. He was reared on a farm and attended the subscription schools, his educational advantages being very limited. He was married Oct. 12, 1845, to Elizabeth Taylor, by whom he has had eight children, six of whom are living —Clara, A., John W., Richard, Mary, Lovina (deceased), Andrew J., Jr., Samantha, and Amanda J. (deceased). Mr. Burgess has held the office of Supervisor for the past seventeen years, and has also been Township Trustee four years. He owns a farm of eighty-seven acres of land and is employed in general farming. He is a great hunter, having, in connection with four others, in the fall of 1880, killed fifty-seven deer and three bears in four weeks. He was married Sept. 13, 1877, to Miss Laura Dean, of Colum- bus, Ohio. He is a Master, Royal Arch, Council and Knight Templar Mason and member of the lodge, chapter, council and commandery at Columbus. County, Probate Clerk, his present position. May 31, 1876, he was married to Miss Effie Tannyhill, of Logan, by whom he has one child—Mary Blanch. He and his wife are members of the Methodist Episcopal Church of Logan. The Legend of “Shep Tinker’ By Arnold Van Horn, Jr.
Webster’s New Collegiate Dictionary defines a legend as (a) a story coming down from the past, one popularly regarded as historical although not verified, (b) a body of such stories, (c) a popular myth of recent origin, (d) a person or thing that inspired legends. When we look at the stories of “Shep” Tinker we find that the stories fit several of these definitions. During this article, I will not try to prove or disprove most of the stories that many of us have heard most of our life. Since “Shep” lived in at least three of the counties in our area, and traveled in several additional ones, the stories are varied and in some cases very far fetched. I will try to give some of the stories that have been passed down from generations to generations. I will try to let the reader decide what to believe and what to disbelieve. Some of the facts that can be verified are as follows: The History of Hocking Valley published in 1883, pages 786 & 787, relate a little of the history of the Tinker family. Since Charles S. Tinker (brother) was born in Hamshire County, Mass, there is a good possibility that Shepard was born there also. While the boys were young, the family moved to Canada and stayed there until the start of the War of 1812. The family then returned to Albany, New York. They lived there for about five years and then moved to Virginia for a short time. The family then moved to Ohio. First they located in Muskingum County and then on to Perry County. “Shep’s parents were Elisha and Lydia (“Shepard) Tinker. They bought land in Monroe Township near the Irish Ridge Road. The Tinker Cemetery on Dew Road contains their last resting-place.